near Southwest. It is thinly scattered elsewhere. 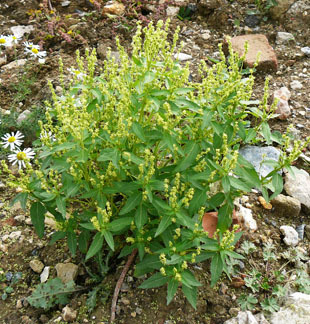 cultivated ground, tips, quarries and roadsides. 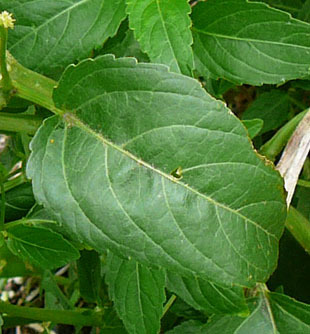 Annual Mercury is an annual herb growing up to 50cm. 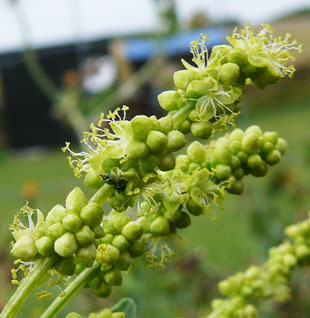 Male and female flowers are usually on different plants. 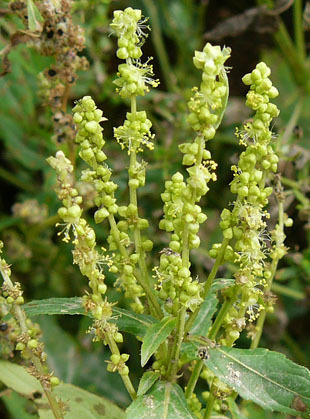 The male flowers are arranged in clusters on erect spikes. segments and up to 15 stamens. 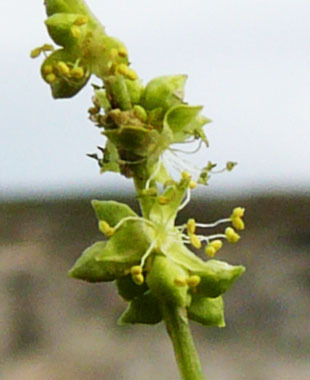 Female flowers are in clusters or solitary in the axils of leaves. 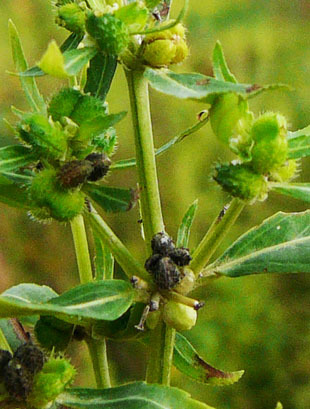 The fruits are globular, bristly and up to 4mm. 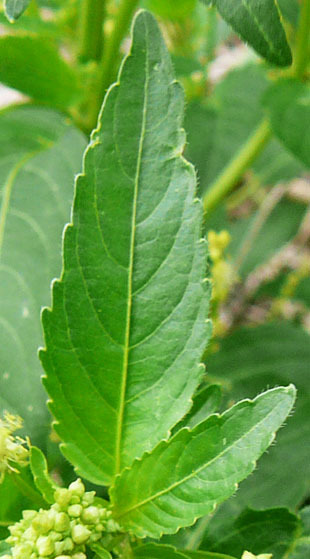 Lower leaves are ovate and upper leaves oval-lanceolate. 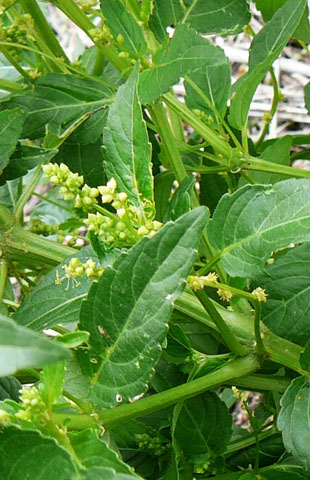 Stems are erect, branched and angular. When broken they produce a watery, milky fluid. There are reports of Annual Mercury causing poisoning.